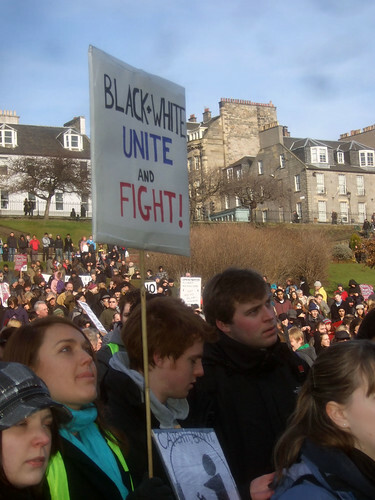 Black and White Unite and Fight, originally uploaded by alister. Rally against the far-right EDL/SDL in Edinburgh today. Fascists were eventually holed up in a pub all day and then bussed out of town. Another failure for them in their attempts to bring hatred to the streets of Scotland.